The new playground for Little Shuswap Lake Indian Band opened June 14. When the three companies sat down for the first time with Little Shuswap Lake Indian Band , the goal was to get acquainted. Business specifics were off the table. A playground isn’t always just a playground. Sometimes it’s the beginning of a beautiful relationship. 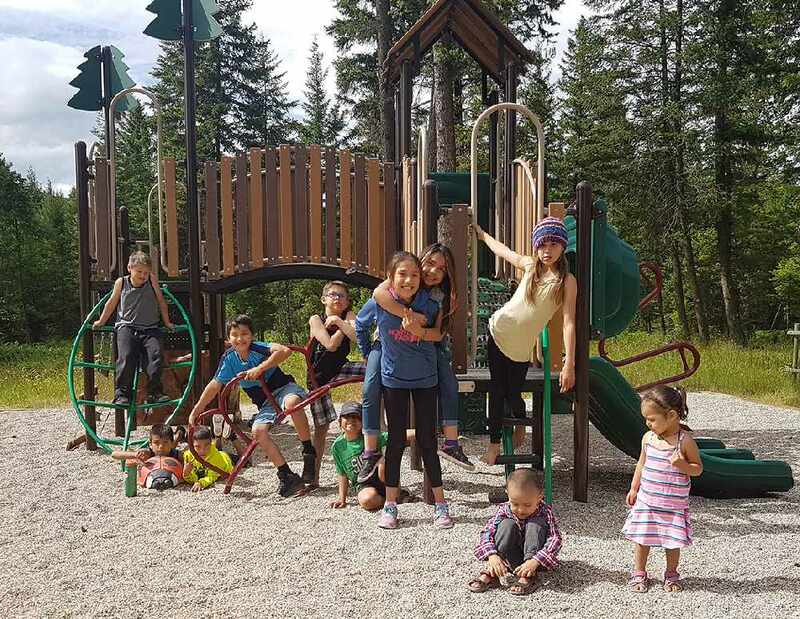 Case in point is the new playground for Little Shuswap Lake Indian Band (LSLIB), which slid into a new partnership with Arrow Transportation and Interfor. BCT Projects was key in bridging this partnership. The playground opened on June 14. After a few conversations with Jackson, Brad Bennett, Interfor’s Woodlands Manager, suggested bringing in Tim Bell, Arrow's vice president —Trucking Operations. “Interfor had been attempting to engage with the LSLIB for a long time with little success, but we knew the current chief and council were looking for companies with whom to partner on their forestry project,” said Bennet. And that was the beginning. It started with relationship building and moved to building a playground. Now that the foundation of the relationship has been cemented, they can plan out how they can work together in business constructively. The details of the resource-development partnerships are still being finalized, reads a statement. The parties are working towards revenue and employment agreements that will see LSLIB sell timber volumes to Interfor. Arrow and Interfor will have an agreement to haul timber, not only from LSLIB land to the Adams Lake Mill, but also on other forestry projects. And they’ll do this in logging trucks they put on the road with LSLIB, through a joint-venture partnership.